The application includes parade permits, park use permits, and usage of the speakers platform. 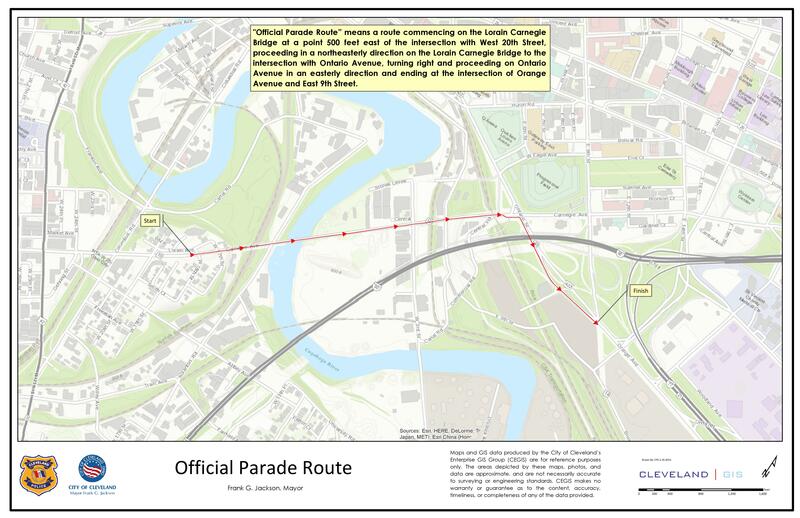 Parade Permits: The City of Cleveland will be issuing scheduled parade permits with route times expected to run from 2:00 p.m. to 4:00 p.m. on Monday, July 18, 2016 and the last parade will end by 5:00 p.m. On the following dates parades will run from from 9:00 a.m. to 1:00 p.m. and the last parade is expected to end no later than 2:00 p.m.
Parades will run on the hour for a one-hour period. Park Use Permits will allow the placement of Public Art and Public Installations on Perk Plaza and Willard Park. The Speakers Platform will be in place on Public Square and speakers may sign up for 30 minute time slots scheduled from 9:30 a.m. to 6:00 p.m. and the last speaking event will be scheduled to end by 6:30 p.m. each day of the Convention.